Fans will be able to see the band perform all of their incredible hit songs in a brand new and expanded set. Most recently Nile Rodgers & CHIC teamed up with Mura Masa, Cosha and Vic Mensa for the release of ‘Till The World Falls’ on Virgin EMI. The song quickly became a summer staple on BBC Radio 2 and other radio formats and was taken from the group’s new album It’s About Time, their first new album in 25 years, which was released on September 28, 2018. 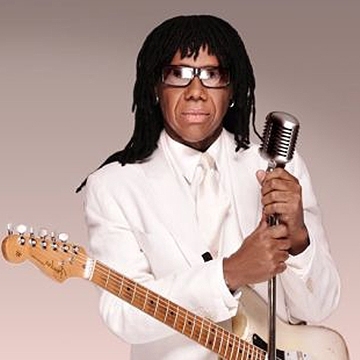 Inspired by talent, multiple Grammy-winning composer, producer, arranger, guitarist, Rock & Roll Hall of Fame inductee and Songwriters Hall of Fame inductee, Nile Rodgers is always collaborating and working with musical superstars and new artists alike. This is exemplified with Nile Rodgers & CHIC’s new record It’s About Time, which features incredible music talent including Elton John, Emeli Sandé, Lady Gaga, Nao, Mura Masa, Stefflon Don, Cosha and Craig David alongside the likes of California’s Anderson.Paak and Chicagoan Vic Mensa, among others.